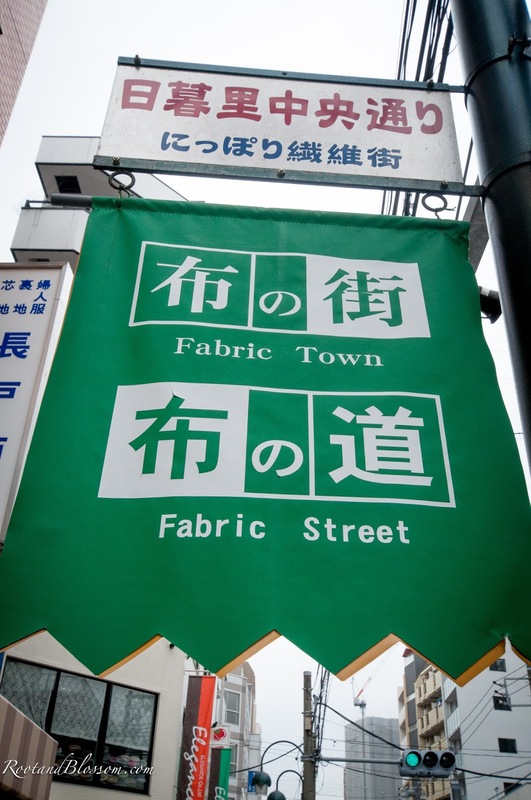 It has taken me three years (THREE) to learn that Tokyo has a fabric district. 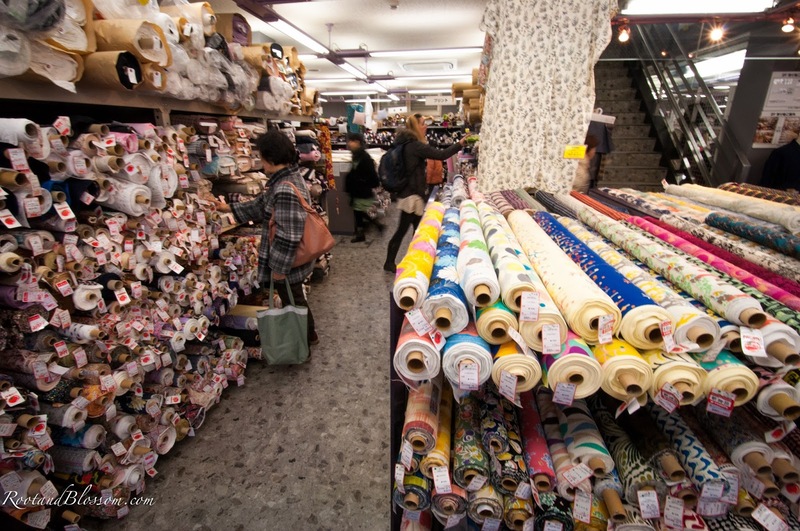 Last year I spent quite a bit of money around Yokosuka in random craft and fabric stores buying up bundles of fabric only to ship it home to use later. 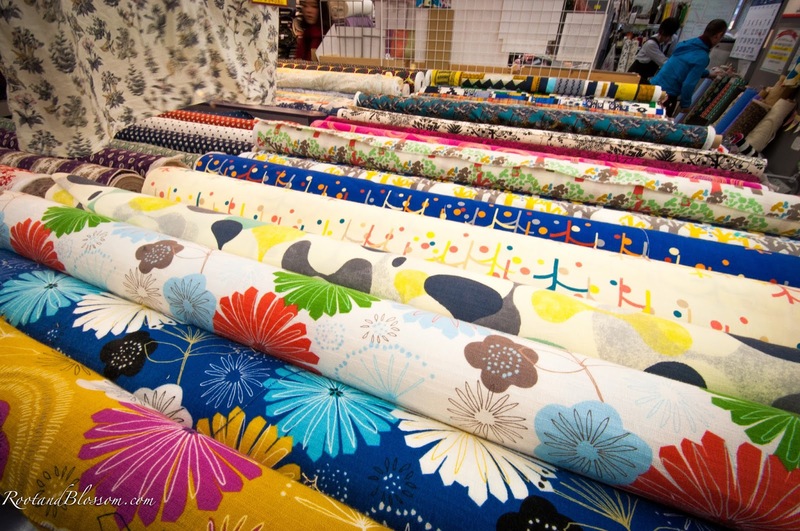 With the addition of my sewing machine with us in Japan this year, buying fabric became all that much more exciting! 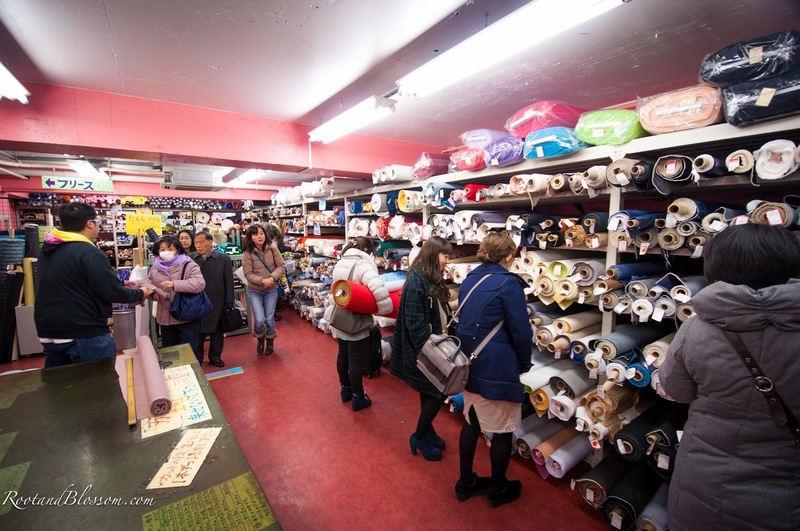 Nippori Textile Town is a mile long street with over 100 fabric stores on both sides! 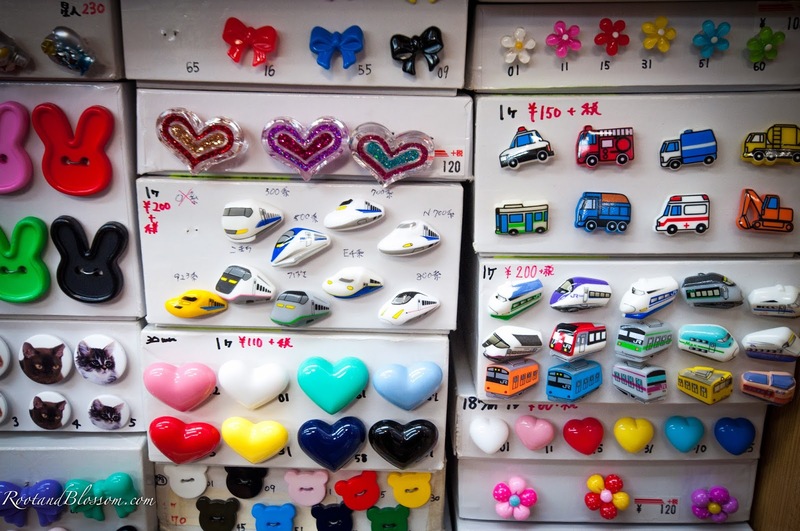 Many of the stores are so packed that there is hardly any room to move, and for me some too full to even look through. 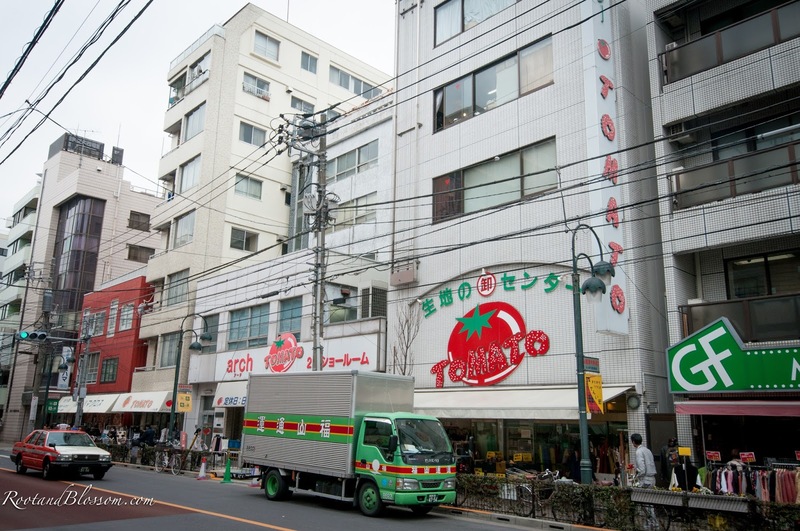 When researching Nippori Town the go-to shop seemed to be Tomato which is actually a compilation of several stores scattered on the street. I am so glad we went together as a family because there would have been no way for me to navigate my stroller through this all- it literally would not fit! 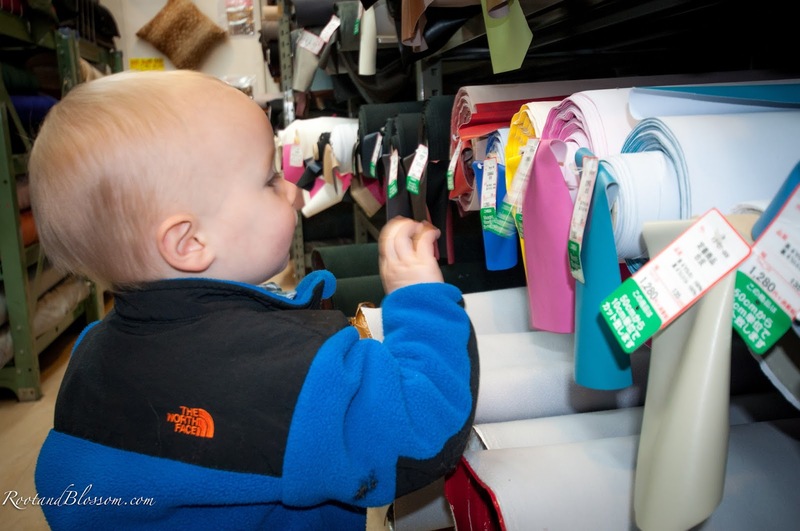 Chris was such an awesome partner in crime watching Gabriel while I searched for treasure fabrics! He even ponied up 5000yen (roughly $50) for me after I spent what I said my limit was, rockstar husband right there! 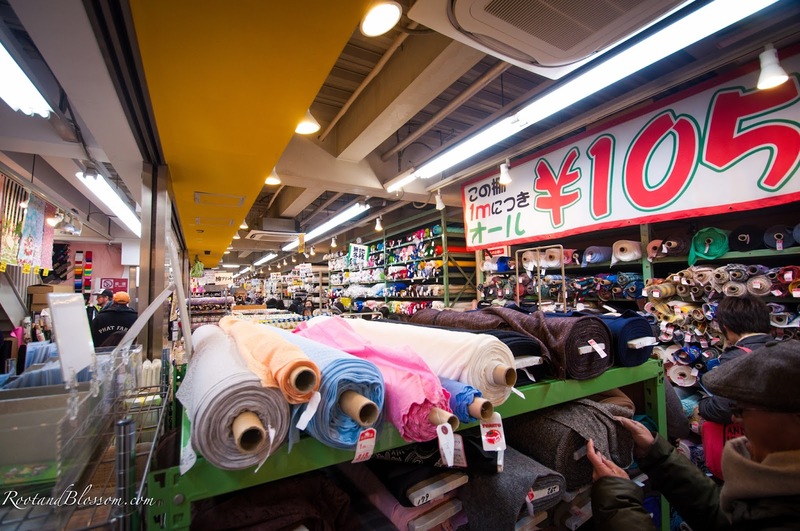 You weren't allowed to buy fabric is anything other than multiples of 1 meter unless specified on the fabric (which then only gave you a 1/2 meter option). The measuring also wasn't very exact- nothing like JoAnns! A lot of the cutters were men and very very roughly measured out the meters rapidly with a meter stick. 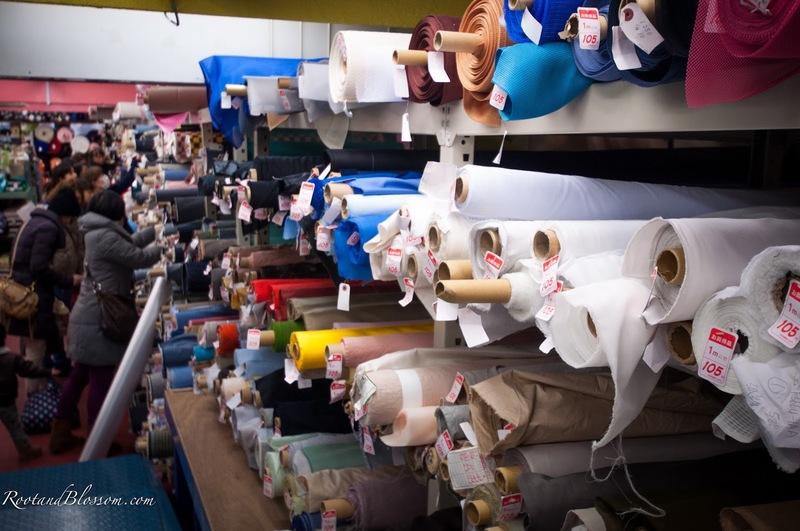 Much of the fabrics were also on the rolls as seen above- the 'bolts' I saw were in a section labeled 'american fabric' and was far more expensive. I wound up purchasing a few different textures, half of which I have a plan for and the other half I hope to be inspired by soon! The triangles and pluses fabric is a nice thick knit that I think I'll make some baby leggings out of when I get home and purchase a serger! Any recommendations? 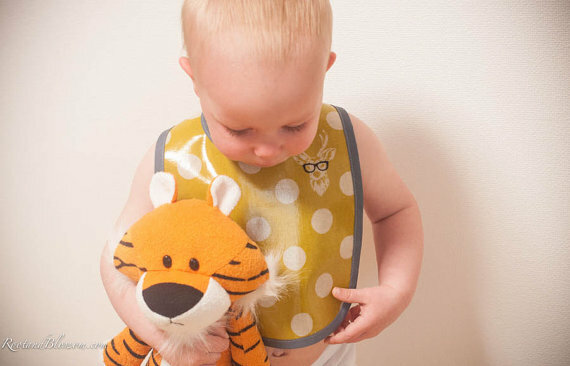 The Stage with glasses and polka-dot fabric is an oil cloth that I've already made some bibs out of (they can be found in my Etsy store). And like I said, the rest is waiting for inspiration. 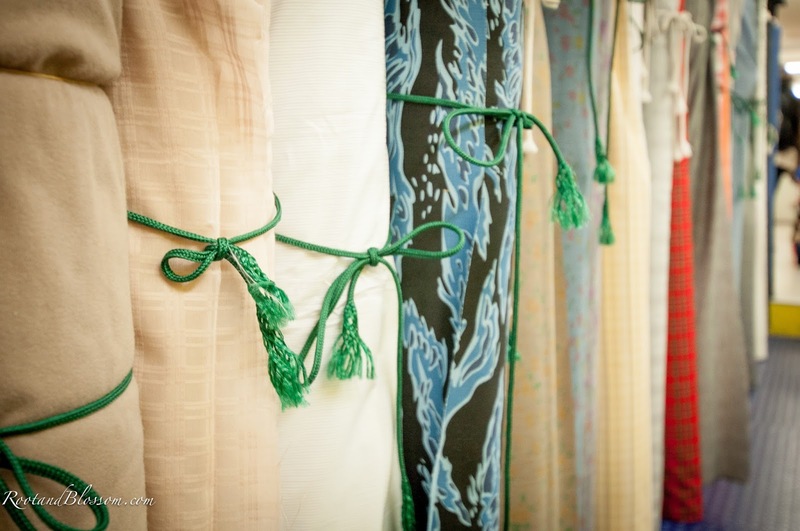 Any ideas come into your mind as you look at the fabric? 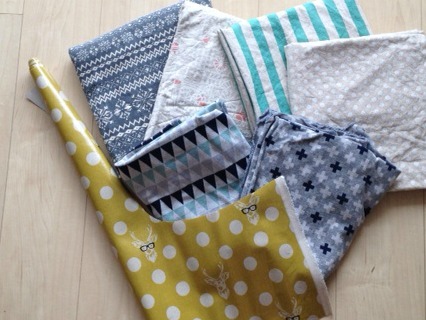 If you'd like to see what kind of projects are currently swooning me be sure to follow my Pinterest sewing board! wow...lucky girl!! I think my serger is a Pfaff and I love it to death! Use it all the time. Probably will use it more now that I am going to be job less! I would have gone way too crazy in that fabric area! Have fun! What fun! I can't wait to see what you come up with either! Oh my gosh, those pictures! 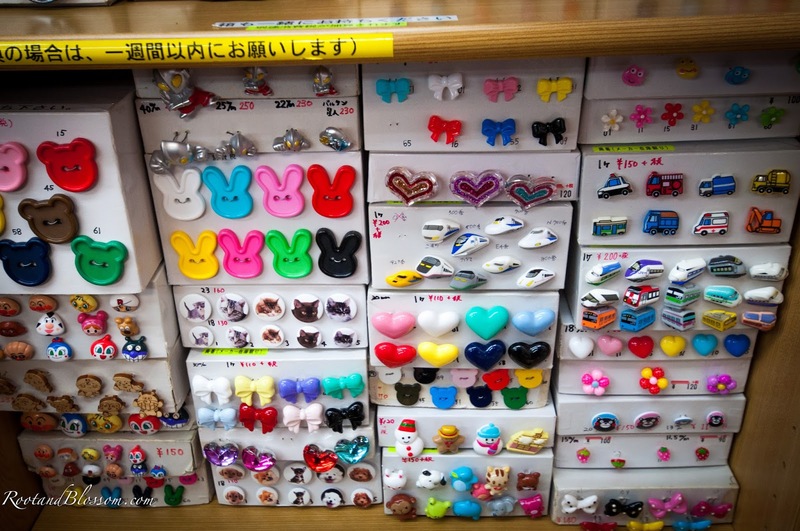 I would never be able to get out of those stores! 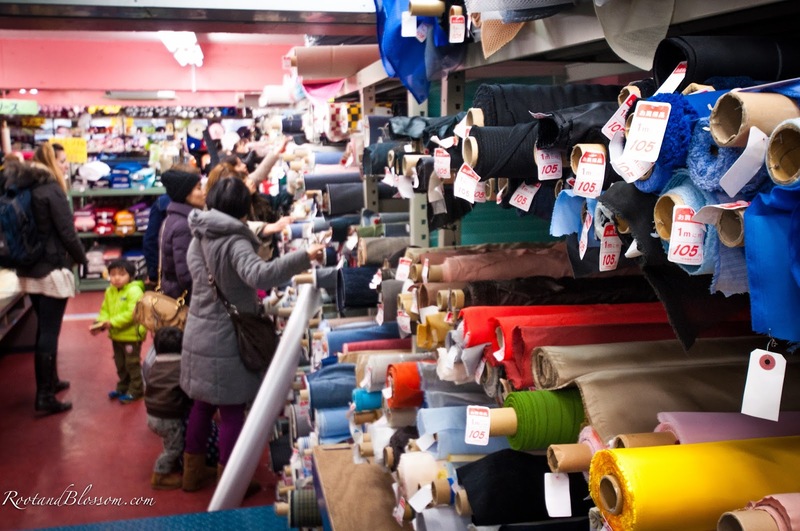 Even at JoAnn I spend at least an hour every time, and they have a small selection of fabric! I love the ones you chose! 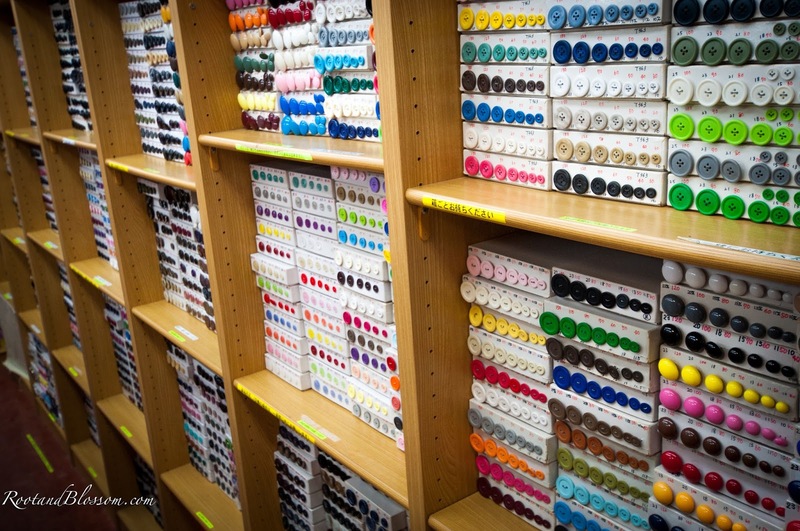 Love these fabrics, and what a neat place to explore--the buttons were amazing:) Hubby definitely earned some points with that little trip!